Legend has it that in 1984, Morris Chang was approached by a friend who was looking for money to buy equipment for manufacturing his electronic chip designs. Morris told him to do more homework. When his friend did not return, Morris reached out to him. His friend, it turned out, did not need the money after all. He had found another manufacturer willing to “rent” him equipment capacity at a fraction of the cost. Morris was intrigued. Moore’s Law was two decades strong, delivering faster, cheaper, and cooler transistors every couple years. More and more chip designers were designing innovative products with these transistors, pushing up the demand for manufacturing. Like his friend, not all chip designers could afford their own manufacturing capacity. Was the world ready for semiconductor manufacturing services? It took Morris 3 years to answer that question. By 1987, he had launched Taiwan Semiconductor Manufacturing Corporation (TSMC) – a company that manufactured chips for others, as a service. The company is known as a foundry because of the similarity of its business model with that of metal casting foundries in operation since early 19th century. I never met Morris Chang. But, for the three decades that followed, I was his fellow traveler, a keen observer, a student, and a competitor. Back in 1984, I was a 27 year old electronics engineer starting my career with Intel. Intel was (and still is) an Integrated Device Manufacturer (IDM). The IDM business model is the opposite of the foundry business model. An IDM develops manufacturing capability for its own products designed by its own IC designers. A foundry on the other hand, develops manufacturing capability for its customers’ products designed by its customers’ IC designers. A foundry helps its customers compete with IDMs. Intel and TSMC grew up as leaders in the semiconductor industry they helped shape. Both drove exponentials: one in the electronics capability world-wide, and another in the reduction of cost for that capability. It resulted in fundamental changes in the way we live. For most of this period, the industry generally accepted Intel as the leader at the edge of Moore’s Law, by at least a generation. I was one of the Intel voices shining light on Intel’s lead and explaining how that lead gives a competitive edge to Intel’s chips. Publicly, Morris did not indulge much in the technology leadership question, choosing instead to emphasize TSMC’s brand promise of customer service, trustworthiness and breadth of offerings. In a 1998 interview, Morris said “The main thing that we’ve learned is that foundry is a service-oriented business, so we are molding ourselves into a service company”. These words were not from a business school slide. They came from deep and powerful insights of a master business man. They captured the pith of TSMC’s winning strategy. An important aspect of the service strategy was the harvesting of immense knowledge from the intimate teamwork between TSMC technologists and its customers’ IC designers. The willingness to learn from his customers was crucial in targeting and tuning his offerings to match his customers’ needs. His emphasis on customer service did not mean TSMC was not focused on advancing with Moore’s Law. It was. I once described this pursuit as a group led by Intel, running towards an invisible wall, on an increasingly difficult terrain, and in a fog that was getting denser by the year. During this journey, Intel could hear the sounds of rival footsteps behind it, with many growing fainter over time. But not TSMC’s. It had been consistent, even getting louder, as it pulled up to Intel and started running shoulder to shoulder. Morris was clear about the importance of technology in making his customers competitive. In one interview he said “TSMC will stand behind our customers and cooperate with them. The battlefield between our customers and Intel is where we compete against Intel”. The dawn of this century saw a change in client computing landscape. By then, the computer had spread from the desktop to the lap, but the move to the pocket was just starting. Intel assumed that Intel Architecture would sail into the pocket as easily as it did into the laptop. History however, proved that assumption wrong. The late Paul Otellini, Intel’s CEO at the time, considered that as one of his most significant failures. It was, in fact, Intel’s failure, not just his own. We at Intel felt entitled to success in markets where we were not incumbents. Our actions and inactions were rooted in that. But this was one of TSMC’s most spectacular successes, a result of years of customer-driven learning and delivering to commitments. By 2008, Intel had launched a foundry division called Intel Custom Foundry (ICF), aiming to manufacture custom products for strategic customers. Intel was not the first to think of creating a foundry within an IDM. IBM offered foundry services long before that, and so did Samsung. However, due to Intel’s reputation as the leader in pursuit of Moore’s Law, even the most skeptical potential customers were intrigued, despite their concerns about incompatibility between the foundry and the IDM models. With ICF, Intel competed directly with TSMC. I led the formation and build up of ICF. Soon, I came face to face with TSMC on the battlefield. In 2013, Altera Corp decided to switch from TSMC to Intel for their leading edge chips. Although Altera was not one of the highest revenue customers of TSMC, it was a strategic customer because it drove the leading edge of Moore’s Law. At the Q1 2013 TSMC earnings call, Morris was asked questions about the design loss of Altera. He said that he hates to lose even a part of an old customer. He said he regretted the loss and because of this, TSMC had investigated and thoroughly critiqued itself. He continued “..and there were, in fact, many reasons why it happened and we have taken them to heart. It’s a lesson to us and at least, we’ll try our very best not to let similar things happen again”. He clearly held himself accountable for the loss and resolved to do something about it. His humility was admirable and disarming. It kept me from gloating over my win. 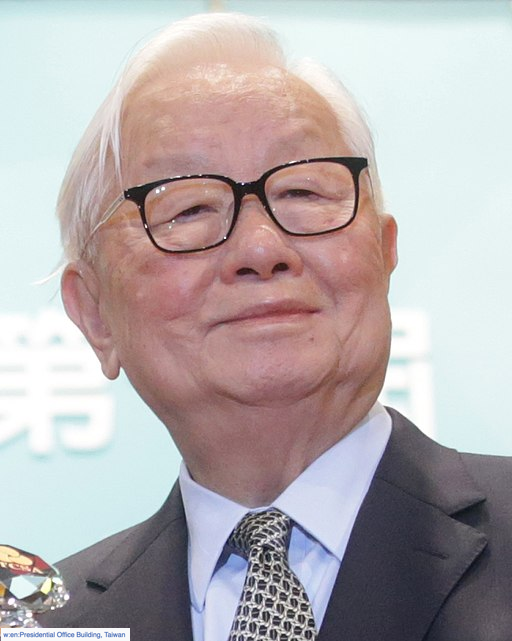 Morris Chang was 55 when he started TSMC, and he walked away earlier this month, ending his glorious innings at age 86. This transformational giant of the semiconductor industry taught us through his goal clarity, personal humility, and tenacious stamina, that inspiration can hit at any age, and spectacular climbs to unimagined peaks can be undertaken anytime. Thank you, Morris.